Computer games technology students awarded for devising the most playable game. Academics and students on City University London's computer games technology courses were prominent in Cancer Research UK's (CRUK) Gamejam which took place at Google Campus from 1-3 March. "The CRUK Gamejam event was a fantastic success in generating nine games that can be used to analyse genetic data for the charity. Almost all of the teams comprised members from City together with programmers from companies such as Amazon, Facebook and Google. There was a palpable buzz of creativity over the three days and we all felt privileged to be part of something that could assist in combating cancer. City students were commended for their professional approach and generosity in collaborating across all teams." Undergraduate students Sam Kellett and Christy Quinn formed part of a team of four (with Tom Wilshere from Imperial College London) winning the award for 'most playable game'. 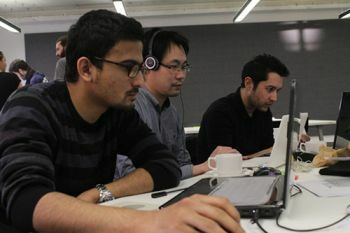 Also participating in the Gamejam were former students on City's computer games course, including Rahul Dey and Orkun Bektas, (who won prizes for technical excellence), as well as PhD student Mohammed Asad and current students Blair Trussler (PG), Oscar North (UG), Andrew Jarman (PG), and Paramithi Svastisinha (PG). CRUK will continue to involve all of the game developers taking part in this month's event through the development and testing process. 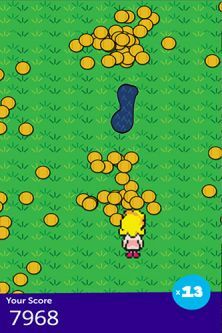 The launch of the CRUK game is slated for later in the year.